How Do I Renew My Cobalt Apps Product License? Step 1: Login to your “My Account” page on CobaltApps.com (note that if you are not logged in you will click the "Login" link instead). Step 2: Click the “View Licenses” link next to the Cobalt Apps product you want to renew. Step 3: Click the “Extend License” link. 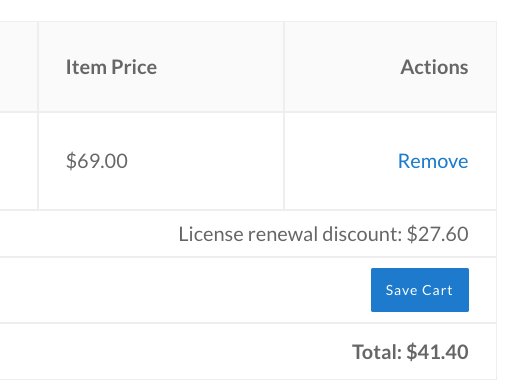 Step 4: Click the “Purchase” button to finalize the renewal process.